How do you store Jamón Ibérico? How long does Jamón Ibérico last? Now that you have Spain’s proudest gastronomic delicacy in your home, you need to give it some tender love and care to keep it fresh and delectable. So how and where do you store Jamón Ibérico? How long will it last once it arrives at your home? How does a leg of jamón last for so long? We’ve got the answers to your pressing ham questions. How long does Jamón Ibérico last? A whole leg of Jamón Ibérico will last up to 9 months unopened from the time it arrives at your doorstep. Once you open up the vacuum seal, it will last for 6-8 weeks, as long as you store it properly. One of our 16 lb whole Jamón 100% Ibérico de Bellota will yield around 45 to 50 plates of 2.5oz/each. A vacuum sealed package of hand-carved Jamón Ibérico, on the other hand, will last up to 5 months in the refrigerator. An opened package, however, should be enjoyed the same day. But we doubt that will be too much of a problem—we dare you to make it last more than a few hours! Where do I store Jamón Ibérico? A whole leg of Jamón Ibérico doesn’t need to be refrigerated. It should, however, be stored on its jamonero, or ham-holder, away from a direct heat source or sunlight. The kitchen counter is an accessible place for it, as long as the counter isn’t next to the oven or stovetop. It stores best in cool and dry places like a wine cellar or a clean basement, as this particular climate mimics the specialized curing rooms of Spain. A vacuum-sealed pack of hand-carved Jamón Ibérico should be stored in the fridge. Never freeze jamón! It’s far too delicate and lasts long enough that you shouldn’t ever need to freeze it. 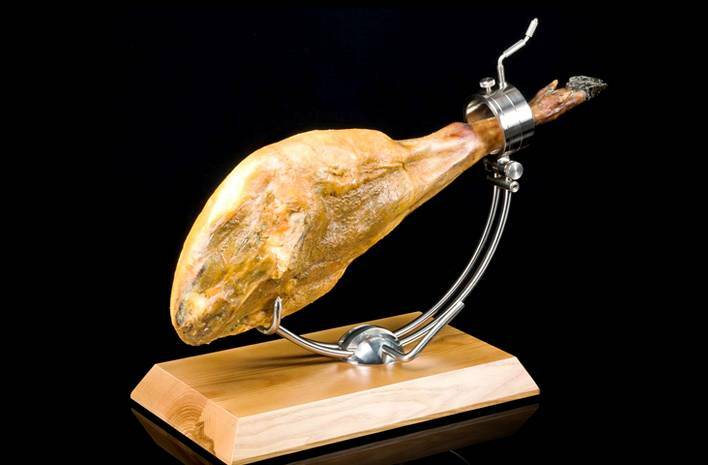 Spaniards cured ham as a means of preservation before refrigeration or freezers. No need to double up on the preservation methods. How do I store Jamón Ibérico? 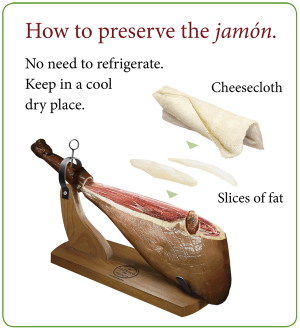 After you’ve cut into your Jamón 100% Ibérico de Bellota, make sure to store it properly. Cover the exposed meat surface with those slices of fat you removed when you first cut into the jamón. Then cover the whole leg with a dry kitchen towel or cheesecloth to keep out the sunlight and air. When it’s time to carve again, simply remove the towel, set the pieces of fat aside, and carve away! Later on, if you see that that top layer of meat has dried out because of a bit of air exposure, don’t worry. Just slice off the first dried layer and discard it. The rest of the jamón will still be in perfect condition. 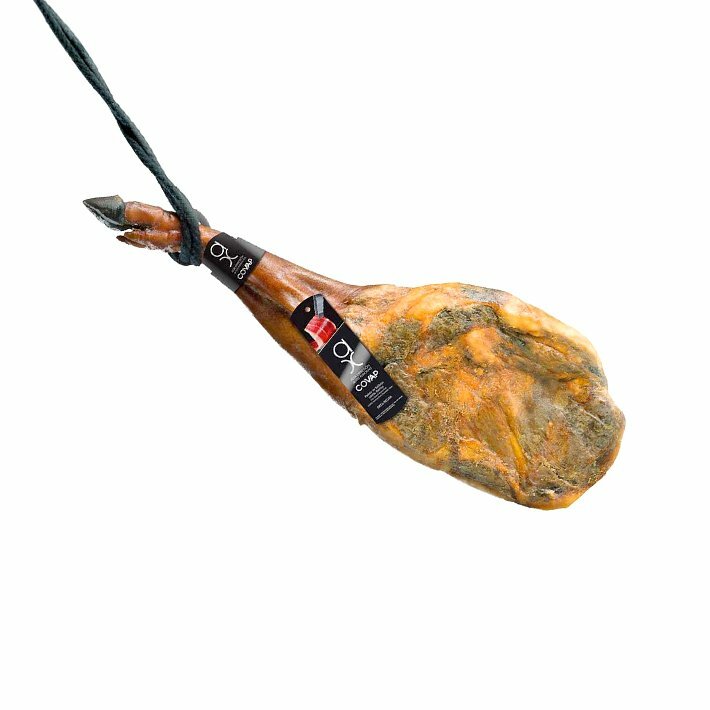 Does Jamón Ibérico need to be refrigerated? Only sliced Jamón Ibérico needs to be refrigerated. Make sure you pull it out of the fridge about an hour before serving so it can come up to temperature. If it’s not room temperature, the texture will be chewy and the flavor muted. Eating cold Jamón Ibérico is basically like drinking warm champagne. Can’t wait an entire hour to dive into those delicate slices of umami-laced perfection? Place the vacuum-sealed package in a bowl of warm water for two minutes and you’ll be good to go. What if I carve off too much Jamón Ibérico and want to save it for later? If you get a little crazy with your new jamón carving skills and have some leftovers, put the slices on a plate and wrap it tightly with plastic wrap to prevent air flow. Then place it in the fridge and it will last for 2-3 days. On the other hand, you could also vacuum seal sliced jamón yourself. If properly sealed, it will last for 2-3 months in the fridge. Why does a whole leg of Jamón Ibérico last so long? 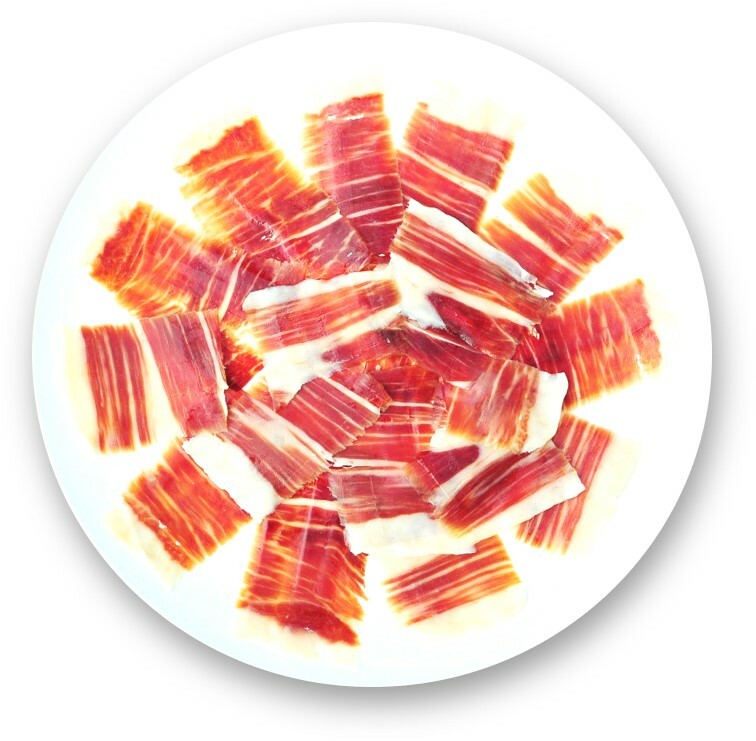 Jamón Ibérico is a cured meat, meaning it is preserved using salt and time. Curing is one of the oldest preservation methods and has been used for centuries to keep food from spoiling without refrigeration. The process is slow and methodical and necessitates a lot of care. After butchering, artisans submerge the hams in salt, rinse them carefully, and place them in a refrigerated space during a 60 to 90 day period. During this time, the salt distributes itself evenly and the meat begins the rehydrate and preserve. The jamón artisans monitor the conditions rigorously throughout the curing process, increasing the temperature and humidity over time. Once the ham reaches an ideal temperature and humidity level, the artisans move the them into a natural drying cellar called a “bodega.” They stay in there anywhere from six months to a year before they reach a specific texture, cure, and flavor. Later, they hang the jamón in a curing cellar to age until the Maestro Jamonero, or “ham master” decides, through a series of aroma and touch tests, that the jamón is perfectly cured. All said and done, the curing process alone can take up to four whole years. There’s nothing like proudly displaying four years of cured Spanish greatness in your home, or opening up a package of hand-carved slices for a pre-dinner tapa. If you care for Jamón Ibérico properly, it will give you days and days of deliciousness. Just remember: carved goes in the fridge but the whole leg can be on the counter. Store it right and it’ll be all the better.